Edible flowers add a taste dimension that is still relatively new to many. 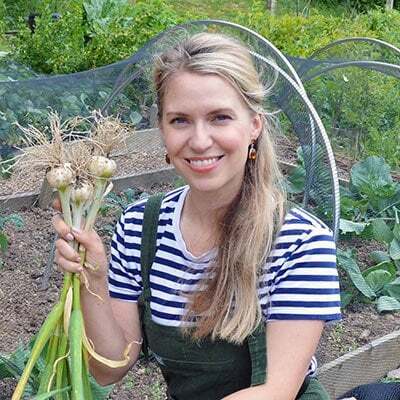 With flavours from peppery, to cucumber-like, to deeply floral, flowers like Lavender can be used to add colour to dishes but also unusual and pleasant flavour. 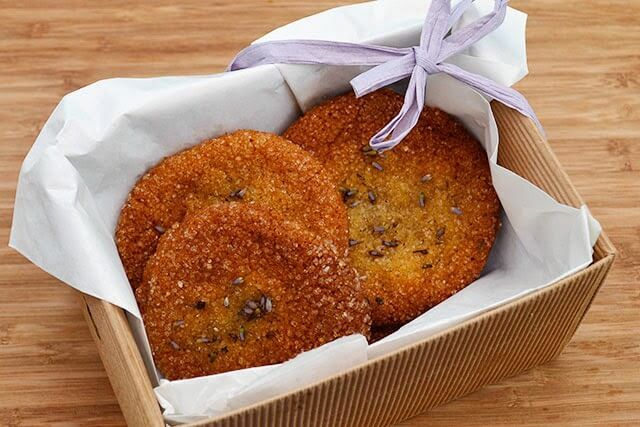 This recipe is no different and combines the honey-sweet and buttery flavour of the cookie base with the aromatic flavour of lavender buds. It’s a recipe that will remind you of summer, when bees are buzzing and the sweet scent of lavender wafts in with the breeze. Make these cookies for a special occasion like Mothers Day, a birthday, or a girlie gathering. 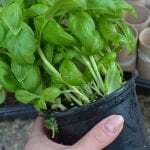 They could also be packaged up in a pretty box and given as a beautiful handmade gift. 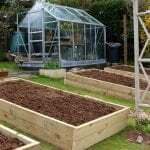 If you grow your own Lavender it can make them even more special to the lucky recipient. 2. Beat the melted butter, honey, and sugar until smooth. 3. Beat in the egg and vanilla until well incorporated then fold in the flour, baking soda, and salt. 4. The dough will be very soft so refrigerate for at least thirty minutes and until it has firmed up. 5. Take 1.-2 Tbsp sized pieces of dough and shape it into balls. 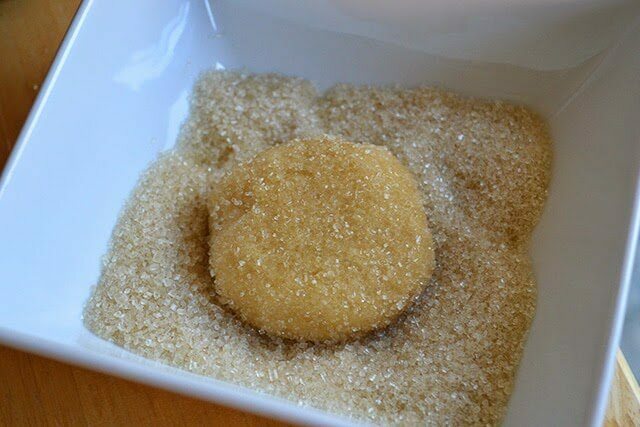 Flatten them with the palm of your hand and then roll in the coarse grained sugar, coating the whole cookie. Sprinkle the tops with lavender buds and gently press them into the cookie. I was a little upset when I pulled my first batch from the oven. I followed the recipe to a T! I even weighed all the ingredients out (which I NEVER do). My cookies where super thin/flat. (They spread out A LOT…so much that there was no space between cookies). I had to throw the whole first tray out. They smelled delicious, so I attempted a second round….I did a small tablespoon sized ball this time and didn’t flatten them out with my palm..just finger tips. Hopefully they will turn out better this time. Any suggestion as to why my cookies aren’t baking correctly? Can you let us know how your second batch turned out? 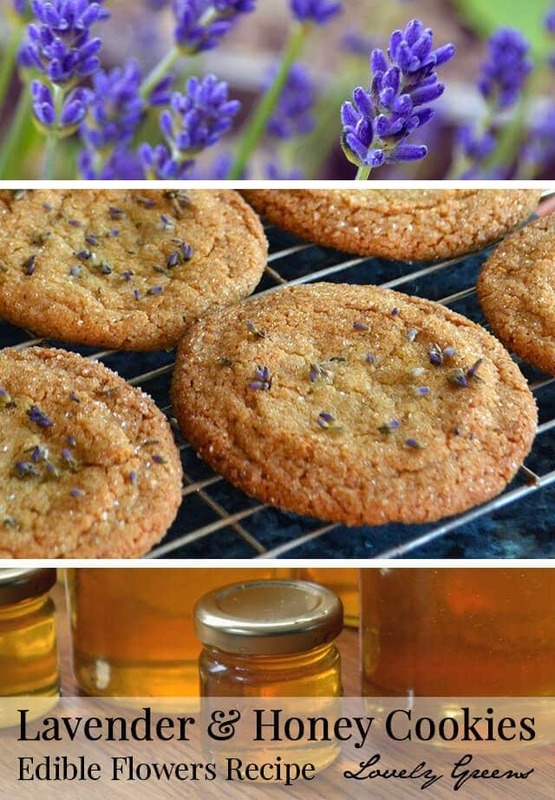 I love lavender and honey together, but often find the underlying recipes to be pretty mediocre. 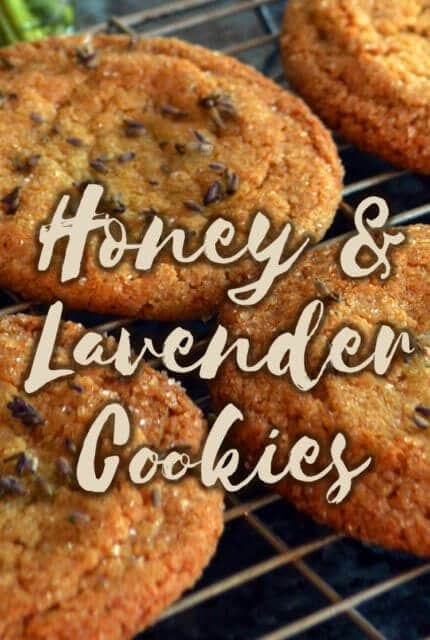 So I made these for tea, ready to enjoy the lavender/honey combo, but hate the cookie. I muttered about melted butter, whatever I don’t have time to let them chill, why there wasn’t any lavender in the dough, and declared that they clearly appeared “cake-y” as I watched them bake. I’m a jerk. They were amazing. The texture was spot on. The honey flavor was perfect. Chewy, but still crispy. Not cake-y at all. I particularly enjoyed just the lavender on top, I got these lovely pops of it in each bite without being assaulted by a pervasive soap type thing. Had them with a pot of hot black tea. I did accidentally go a little generous on the salt, but that somehow worked out too, it accentuated the honey lavender. I might oversalt them again ;). A truly outstanding recipe. I’m sorry for all the terrible things I said about you in my head, I take them all back. This comment made me smile 🙂 Thanks so much Salem and so pleased you’re a fan of the recipe! I might try the next batch with a little extra salt too. I made these cookies following the recipe exactly, for our family reunion this summer. I used honey from our hives and lavender from my herb garden. They we’re a huge hit! Everyone loved them and they disappeared rapidly. I doubled the recipe, but wished I had made even more so there had been some left for me! I will definitely be making these again. Thank you for the wonderful recipe! I don’t usually post comments, but I felt I had to regarding these cookies. These are the best cookies ever! I now have a serious lavender addiction. I will be the first to admit that lavender is definitely an acquired taste. I have always loved the lavender chewing gum so the flavor was not new to me. I can say that my husband and son cannot stand them as it reminds them of what a urinal smells like in a public retsroom. LOL I have taken them to work and there are only a couple of co-workers that did like them, once again it is an acquired taste. Over the past three months I have made three batches. FYI- they freeze very well. Because I am the only one that eats them since my daughter is away at college I put them in a gallon ziploc and freeze the entire batch. When I want one I just grab it right from the freezer. No need to thaw!!! What a lovely message! Yes, lavender is an acquired taste but for those with adventurous palates it’s a real treat. Great idea with freezing the dough too — I’d probably be tempted to eat it that way! I was skeptical to make these because the lack of reviews(I read lots of reviews before I jump into a recipe). Made them tonight for a friends boutique opening tomorrow and am so happy I made them. What I’m not happy about is running out of flour so I couldn’t make more. I added the lavender into the dough and used raw sugar instead of white sugar and only coated one side in sugar. They are so good. They spread a lot and came out thin with a nice crisp edge and soft center. I can’t wait to make more of these cookies. Thank you for sharing this. Perfect for a tea party as well. I didn’t think my picky 4 year old would like them but he’s on cookie number 2. My house smells like lavender and honey, I want to bottle it up and wear it! Do you melt the butter in a pot of room temperture melted butter? Made these for a family gathering, they where amazing. I used lavender honey and it added a bit more lavender flavor. Beautiful and I’m sure very tasty idea! For the butter, do you use salted or non-salted? Hi there! We messaged via Facebook about this topic but for the benefit of anyone else reading, you can choose to do either. Simply pressing them into the tops of your cookies is enough but for even more lavender flavour do try mixing them into the dough.